The current national legislation in Colombia, which assures the recognition and remuneration of waste pickers as public service providers, has enabled waste picker organizations in different cities to receive their first payment. 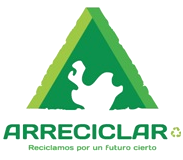 The organization Arreciclar from Medellín, a member of the National Association of Recyclers (ANR for its acronym in Spanish), will receive payment by the municipality. Since December 2016, Arreciclar has been included in the unique registry of public service providers, which is the first requirement to be formally accredited as a public service provider. Furthermore, with the support of ANR, WIEGO and the Fundación Familia, the organization receives training and operational support for organization, consolidation and reporting to the Unique Information System (SUI for its acronym in Spanish) of the Public Services Department: an online platform where information on public service provision is reported.